Keeping up with the recipes requests is keeping me busy…but I am also starting to look like the ‘cat that got the cream’! Rob often asks me if something special has happened because I look particularly pleased with myself. Of course I am pleased…I get to taste all my creations….curries, casseroles and freshly baked biscuits that make me want to swoon with delight! 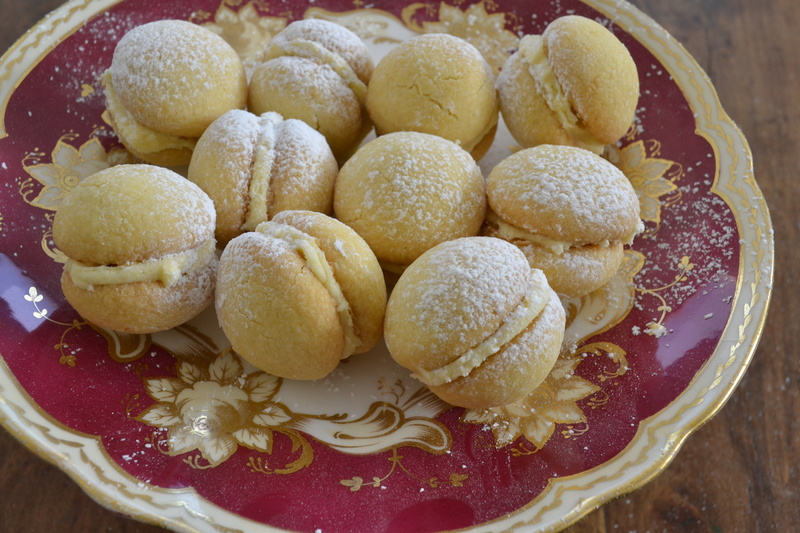 Back to the melting moments….I decided to make a few variations and would love to share this recipe with you. I made these a few days ago and they were irresistible….they actually tasted like ‘more’ I decided to keep my bingeing to myself but traces of white powder on my cheeks may well have given the game away – damn, the Spar Icing Sugar! These are rich butter biscuits laced with lemon zest and gently massaged together with butter cream. I simply love these lemony delights. A quick note before we go on – I often talk about the products that I use in my home. I am a huge Spar shopper mainly because my spices are stocked in a few stores in and around Jozi. These recipes are not developed for Spar. Beat the butter and gradually add the icing sugar. Continue beating until the light and creamy. Add the lemon zest and the vanilla essence. Sift the flour and cornflour into the creamed butter. Sprinkle the salt over and mix the ingredients together to form a smooth dough. Roll the dough into small balls each weighing about 15g. Bake in a pre heated oven at 180 degrees celsius for 1o – 12 minutes. Cool the biscuits on a wire rack. Cream the butter and gradually add the icing sugar. Continue beating until the icing is light in colour. Use a palette knife to smear the icing on half of the biscuits. Sandwich the biscuits together with the remaining halves. This recipe makes about 20 lemon iced lemon drops. The butter must be at room temperature when making these biscuits. I keep saying this but margarine just won’t do for this recipe. Add a dash of milk if the butter cream is too thick to spread on the biscuits.